Bengaluru produces an estimated two lakh tonnes of e-waste annually. But 90% of this goes to landfills or scrap dealers who then sell it to illegal recyclers. 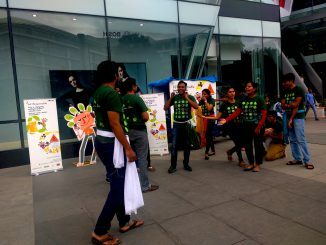 bE-Responsible is an initiative for Environmentally Responsible Collection and Recycling of e- waste in Bangalore. We have launched a campaign is to encourage people to drop e-waste at collection points at Bangalore One centres. Twenty-three students of Christ College have volunteered for this drive. E-waste is one of the fastest growing waste streams and India is the 5th largest generator of e-waste. Bangalore is the 3rd largest generator of e-waste in the country and is producing close to 100,000 tons of e-waste annually which is likely to grow by 500% by 2020. Presently in India, more than 90% of e-waste ends up in the informal sector for recycling with serious repercussions on human health and the environment. The informal sector works on a small scale with minimal facilities and equipment to take care of the hazardous elements like lead, mercury, cadmium etc. present in the e-waste. E-waste also has some REE (rare earth elements) that need to be extracted and recycled efficiently which can only be done in well-equipped facilities. 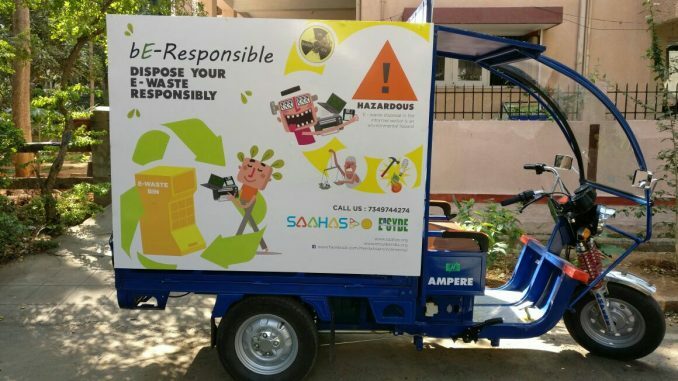 The bE-Responsible programme has been initiated by Saahas and Environmental Synergies in Development (ENSYDE) to create awareness and facilitate the collection of household electronic waste (e-waste) in Bangalore. The e-waste collected through this program will be routed to authorized e-waste recyclers. 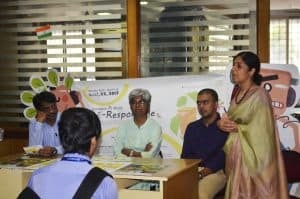 The bE-Responsible program in its first phase is being implemented in 10 wards in South Bangalore, creating awareness about the problems due to improper disposal of e-waste and showing the right way to dispose. The awareness program has been conducted in households and institutions (schools, colleges, hospitals, offices, retail, etc.) through workshops, campaigns, emails, and social media. 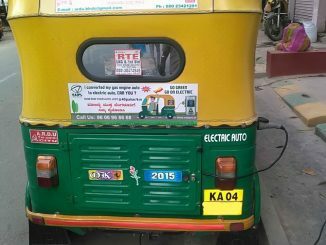 The awareness drive is supported by the on-ground collection system which includes door-to-door collection drives, drop off boxes at Bangalore One Centres and a mobile collection van. 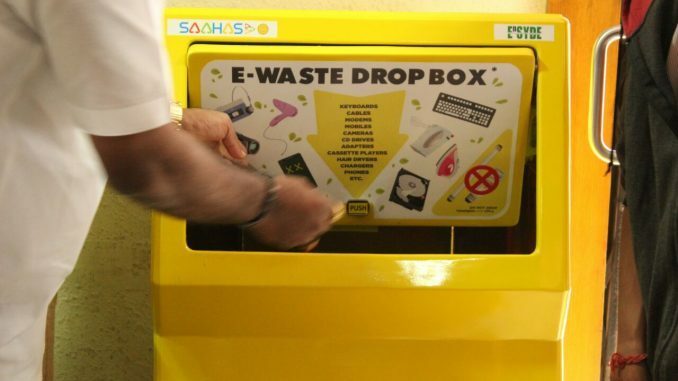 As part of the program, e-waste drop-off boxes have been placed in select Bangalore One centres in south Bangalore which are secure, easily accessible to the public and are open on all seven days of the week. The success of this program will help reduce the damage being caused to the environment by non-scientific methods used in dismantling and recycling of e-waste by the informal sector. We plan to expand the reach of the program to other zones of Bangalore in future. Saahas was founded in 2001 and is a non-profit organization who has been a pioneer in the field of waste management. Its programs focus on “Source Segregation” and “Decentralized Waste Management”. Saahas builds sustainable solutions for different waste streams and also focuses on strengthening capacities of public institutions like the Municipal Corporation as well as supports progressive policies around waste management. Environmental Synergies in Development (ENSYDE) founded in 2003 is not for profit Trust providing turnkey services in environmental design solutions & awareness. Through the various projects and initiatives, ENSYDE has assisted clients in CSR, extending and improving markets, creating new markets, particularly ensuring sustainability through new avenues and markets. ENSYDE has assisted over 50 companies in the integration of environmental sustainability into their business operations and planning. Can anyone throw some light on safe disposal of CFL bulbs?